I found the objects to all be interesting, many I was aware of but a bit of review never hurt anyone. From the Cross Staff for navigation, Lemons to help prevent scurvy, the Portsmouth Block Mills in 1802 which made 130,000 wooden blocks a year for the Royal Navy using early automation (which remained in operation until the mid 1960’s). The Fresnel Lens in 1823 which is still used today in Lighthouses and probably most aids to navigation with a light as well as navigation lights on vessels and the tail lights on many cars. Navigation lights were recommended in 1836 by a British Royal Commission that recommended that every steamship should carry lanterns visible in all directions, but it took two decades for the issue of Navigation Lights to be taken seriously, by then there were 3,064d collisions involving just British ships. It took until 1889 for international standards to be adopted. 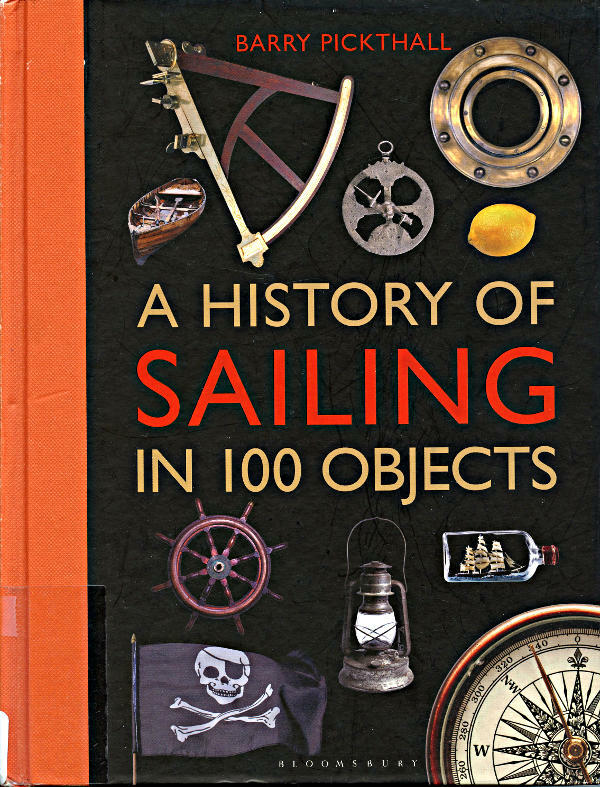 All in all a nice read for anyone interested in the history of sailing and the object we use and take for granted in many cases. The Seattle Public Library has several copies (that is where I borrowed my copy from), Seattle has branch libraries all over the city so you should have a branch close to where you live or work, visit your local branch and have a copy sent to your local branch if they don’t have a copy on their shelves, just takes a couple of four days depending on when you ask for the book, the book is delivered to your local branch and an email sent to you telling of the books arrival. If you have a library card you can log into the library web site and reserve the book to be held for you or sent to your local branch for you to pick up. This entry was posted in History and tagged sailing. Bookmark the permalink.